Monster Math How Many More? Your students will love this Common Core aligned Monster Math Center. This center is for 6 students. Each student has 10 different monster cards. 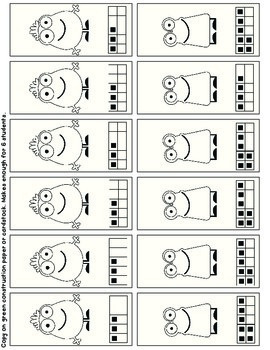 Students look at the ten frame on each monster card and identify the number represented. Students then, determine how many more is needed to make 10. Students record their answer on the recording sheet and color the monster to match.